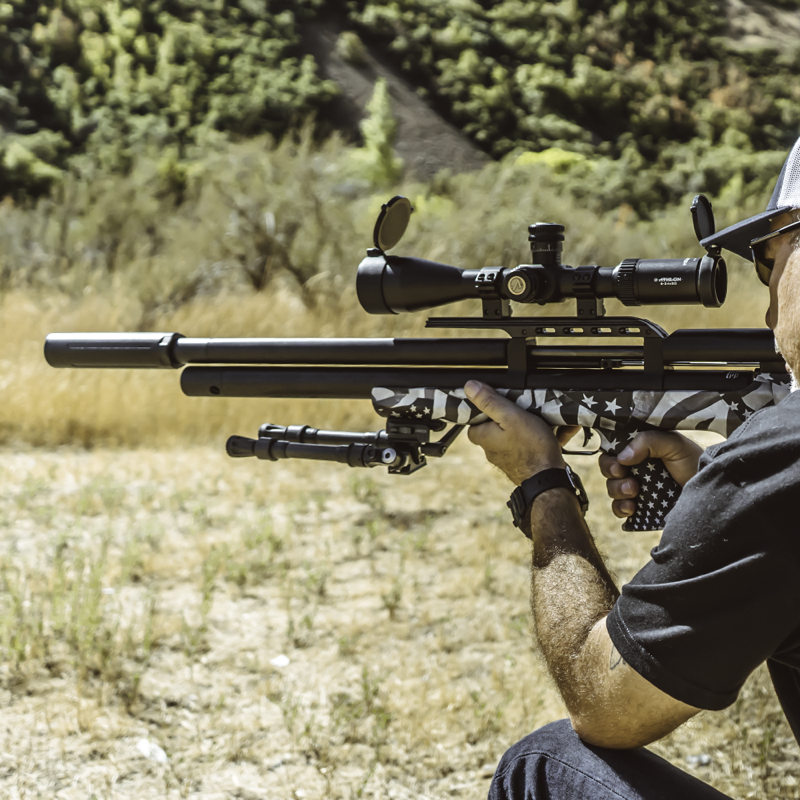 FX airguns engineering has been second to none for a long, long time. The team here at Utah Airguns wanted to put our own spin on an already amazing product. 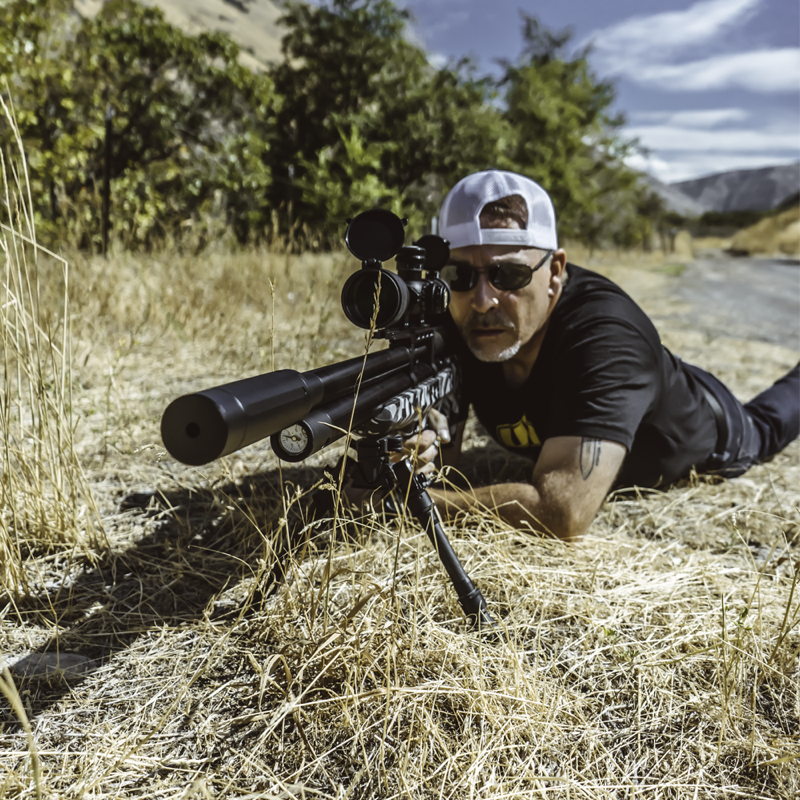 We have shot and sold so many of these guns and have come up with what we think is a killer package for those that want a custom, mean looking airgun! 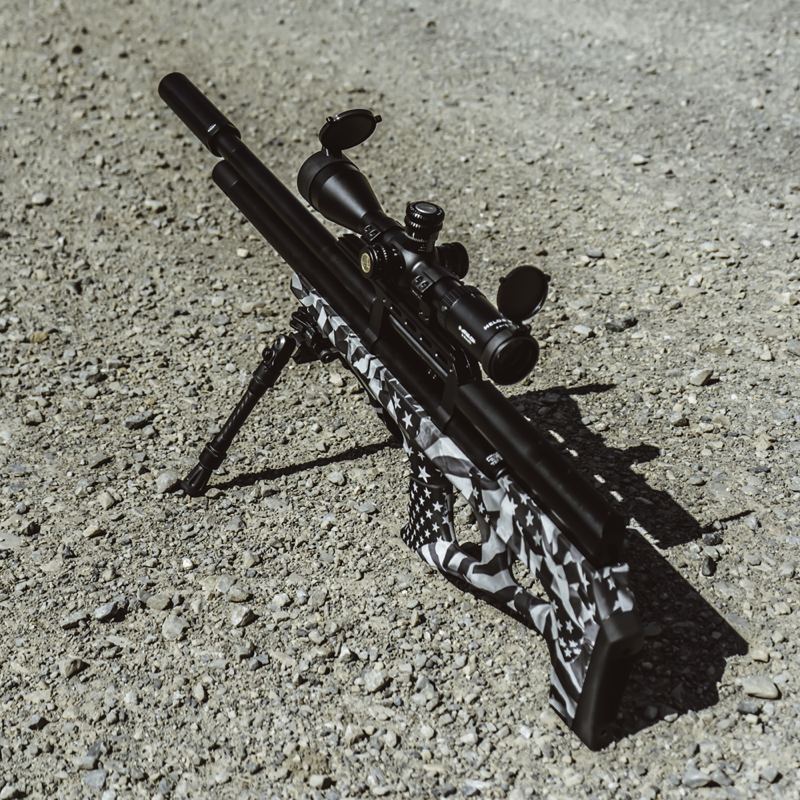 Introducing the FX Wildcat “Patriot” available only through Utah Airguns. The synthetic stock is hydro dipped using the One Nation Midnight pattern. A super sleek black and white American flag collage. The durable dip will not only protect your gun but will turn heads at the range! A DonnyFL Wildcat UNF adapter and Sumo Airgun Moderator.The adapter is for Impacts and Wildcats that have the M20x1 male threaded end. It threads onto your factory shroud and allow you to screw on an LDC with a 1/2 x 20 UNF Female threads. The Sumo Airgun Moderators mono-core design increases accuracy by limiting the chances of pellet clipping. It was also sand blasted and anodized for maximum durability. The Sumo can be taken apart in less than 10 seconds by unscrewing the rear end cap and pushing back the mono-core. No silly hex key or torch needed when you want to perform maintenance inside the unit. Picatinny bottom rail and rear sling swivel mount. Easily attach a bipod, flashlight or gun strap. We can guarantee that they will be gone quick, place your order today!